ideally located, near the pists. Nice view on the mountains.wholy renewed and well equiped. There are 2 bunk beds and a bed-settee with 2 stowaway beds. A closed at night ski rack (level –1). I'm sport teacher in burgondy. I have a daughter, 10 years old. My husbund is retired. We all love visiting asian countries during our holidays. We wanted an apartment in a resort where we are sure to have snow and all the facilities. Nice view ans snow all over the year. renting from sunday till sunday to avoid trafic jams. "A very well equipped and clean apartment ideally positioned close to the pistes. 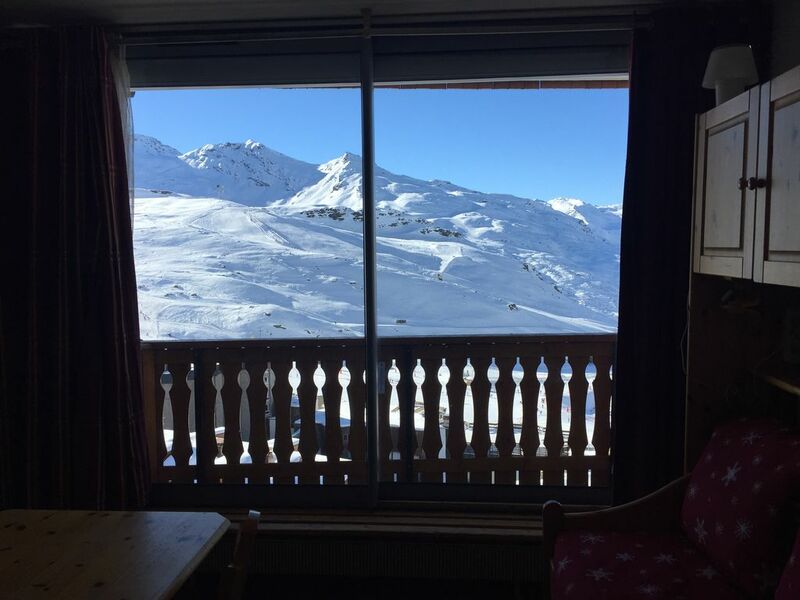 Perfect for those looking for a ski base and looking to explore Val Thorens and the 3V." "Very easy to arrange, owner and guardien very friendly and helpful. Perfect location. Kitchen light and electric socket did not work and bathroom was quite dirty when we arrived." "We had arranged with the owner that she would get the caretaker to leave the keys in an envelope pinned to his door as we would be arriving late. This had not been arranged, and when we finally managed to wake the caretaker we were greeted by verbal abuse at waking him at such a late hour (not something that we needed after 17 hours of travelling.) The view was great and the location was fantastic, but that was about it. Fortunately we drove in a van so were able to bring sheets, duvets, pillows etc, however most people would normally fly to a ski resort, and I think it is very bad that the owner does not even provide pillows and the duvets provided were very thin and uncomfortable. I would use homelidays again, but I would not recommend this particular apartment. communication et réservation impossible. Le propriétaire ne réponds ni au téléphone ni aux mails. 2 réservations caduques après 24h00. Dit appartement ligt heel centraal. Midden in het centrum en tegen de piste aan. De indeling is slim aangepakt. Het appartement is van alle standaard voorzieningen voorzien. Er staat zelfs een bad. Via de schuifpui betreed je het balkon en heb je een prachtig uitzicht over het gebied. Ik kan het appartement echt aanraden. Skiing at VAL THORENS 2300m to 3200m, international ski resort belonging to the 3 Vallées. Skis to rent in many place.